Connacht Women head to Dublin on Saturday hoping to repeat their opening day success when they face Dublin at Donnybrook at 2pm. 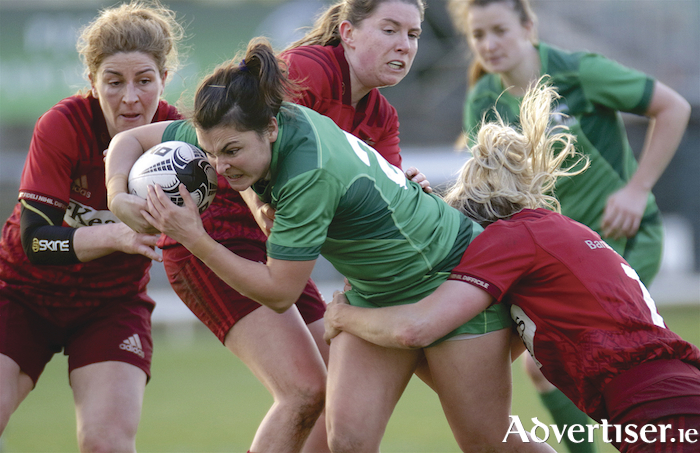 Having celebrated an historic day on Saturday when for the first time they overcame Munster in the women's interprovincial championship at the Galway Sportsground, they will travel to Dublin in confident form, but wary of a Leinster outfit that crushed Ulster 34-10 on opening day. Connacht, who finished second last season in the championship, produced a sterling second half against favourites Munster for a 19-15 victory. Connacht had started well, but handling errors proved costly as Munster opened after 13 minutes when winger Laura O’Mahoney claimed a try after a period of dominance. Edel Murphy added the extras and a 29th minute penalty for a 10-0 lead. It could have been more but for a committed Connacht defence, partiuclarly from scrumhalf Shannon Lane who was instrumental in snuffing out two Munster scores, and given the wealth of territory Munster enjoyed, they would have been disappointed with only 10 points at the break. Connacht were far more assured after the break, and were rewarded when Edel McMahon took a quick tap penalty two metres out for Connacht’s first try. Ali Miller, Laura Feely and the ever-present Ciara O’Connor combined for Connacht’s second on 67 minutes in the left corner before lock Amelie Roux notched up Connacht's third. Munster replied with a try at the death, but it was not enough to stop the celebrations that erupted three minutes later on a famous day for the western women. Coach Jarlath Naughton said it was "a pretty good shift" for a first day out. “We’ve trained well, we’ve soaked up the info, repped out the set-piece stuff and largely improved every session, but until you play it out in live competition, the success or failure of those systems remains one of rugby’s great unknowns. “We struggled for 30 minutes and smashed it for 50." Munster hosts Ulster in Garryowen next Saturday, while Connacht head to Dublin.